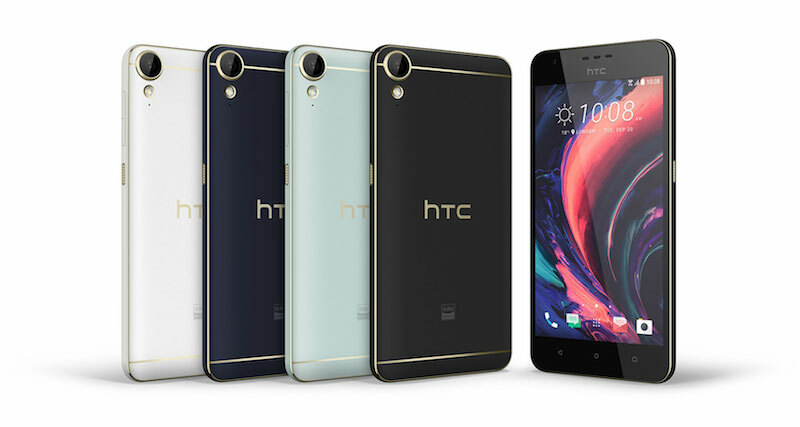 HTC today announced two new mid-range Android smartphones, a budget-oriented model called the Desire 10 Lifestyle and a more capable, more expensive handset called the Desire 10 Pro. The Lifestyle model is a 5.5-inch device with a 720p Gorilla Glass display, quad-core Qualcomm Snapdragon 400 processor, 2GB or 3GB RAM, 16GB or 32GB expandable storage, a 13-megapixel f/2.2 rear camera, 5-megapixel f.2.8 front-facing camera, and 24-bit Hi-Res sound certified by Dolby Audio. The Pro handset is the same size and has the same storage capacity options and audio features, but comes with a 1080p display, 64-bit Octa-core MediaTek Helio P10 processor, 3GB or 4GB RAM, a 20-megapixel f/2.2 camera with laser autofocus, a 13-megapixel f.2.2 front-facing camera with selfie panorama, and a fingerprint reader. 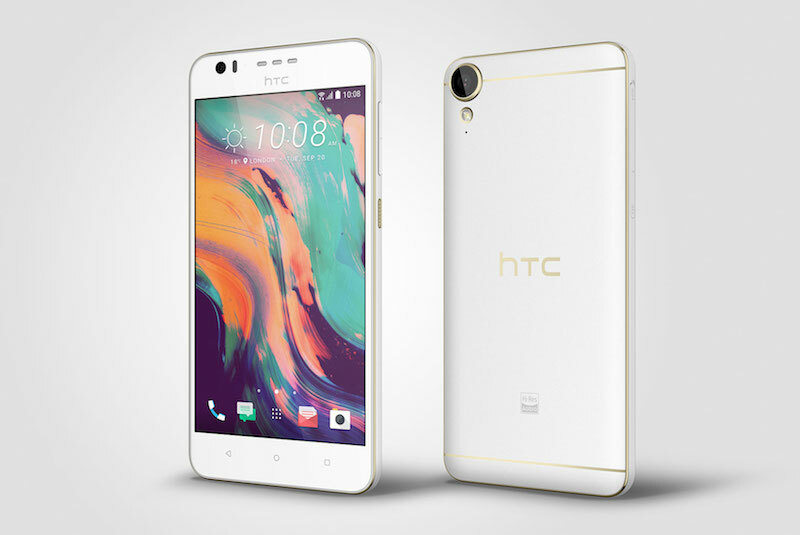 The two "Art Deco" inspired phones – which include a headphone jack – are matte plastic with a metal trim, and take design cues from the HTC 10, the company's flagship smartphone for 2016, coming on the heels of last year's HTC One M9 device. Both phones will be available in black, white, light blue, and dark blue. 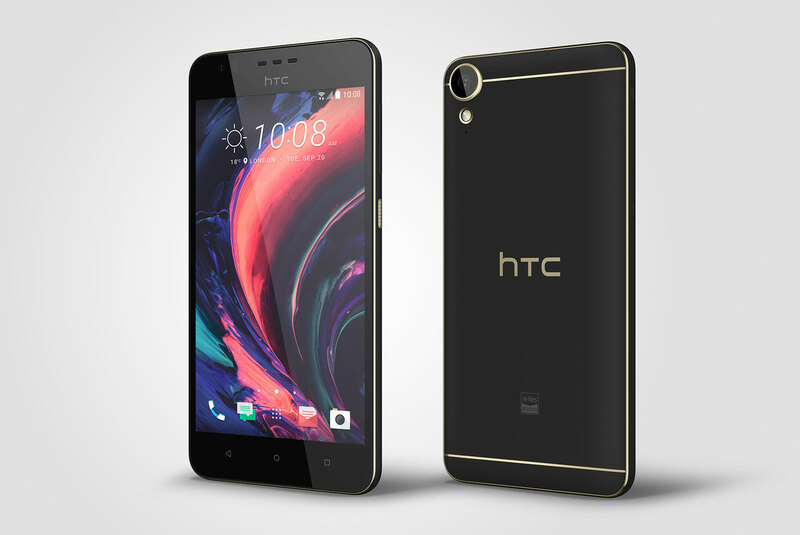 HTC's new Desire 10 range represents the company's attempt to compete below Samsung's and Apple's flagship high-end smartphones, in a cheaper market segment populated by devices like the Moto G4 and Moto G4 Plus. HTC says the handsets will be released exclusively in Europe to begin with, with the Lifestyle available from today and the Pro model coming in November. Prices are as yet unconfirmed for the latter model, but the Lifestyle costs £249, which converts to around $325. Some MacRumors readers may remember HTC was forced to deny claims last year that the company's flagship One A9 copied the iPhone. Apple declined to comment on the claims, but has taken legal action against Samsung for perceived copying in the past. Was sold on one of these til I saw it had a headphone jack. Who wants a phone with such an outdated technology? "The two "Art Deco" inspired phones - which include a headphone jack"... Anything on your mind MR? The black looks really cool actually. Nice. First off, is your "?" character broken? I had to read your post 3x just to decipher it. Now, as for the screen being low-density.... you're joking, right? It's still a Retina display, so your eyes can't see the individual pixels. Go higher-density won't make any difference. Apple *did* improve upon the display dramatically by introducing Wide Colour Gamut, and it's been rated the best mobile LCD on the market. As for 2GB of AM, seriously? Adding RAM is innovative? No... making the operating system run well with less memory (compared to Android, etc.) is innovative, as that involves creative engineering and very close attention to detail. They have delivered that year after year. I love the dark blue, and I laughed at how you mentioned "which include a headphone jack"... It's a feature now! A main selling point! The headphone jack is decades older than all the technologies you mentioned. Use bluetooth. On an outdated level you aren't even close. Apple could put a Floppy disk drive on the new iMac and it would be newer technology than the headphone jack. I just don't get why you are so attached... literally. Well, at least the post has the word Apple in it a few times. So I guess it's relevant! Lol, were you trying to?? Is that what excites you?? Making up lies and saying foolish things to others on the internet TRYING to frustrate others??? So, a gleeful comment from you- excited that you may have "touched a nerve", makes me quite sad & sorry for you. I would genuinely LOVE to have a real conversation. I don't even know you... so why you think it would "touch a nerve" if you believe & repeat misinformation is a mystery to me. You can go through life believing ANYTHING you want!!! I don't care if you wear your underpants as a necklace, drink bowls of curdled milk, etc... absolutely anything as zany & silly as you want! But......... if you are on a forum that I participate in, talking about the health benefits or fashion of those- I'd be within my rights to politely let you know that's absurd, right?? And it wouldn't be because you "touched a nerve"... it would be because the purpose of most forums is to share facts & opinions. Well, in this case- it is a FACT that the iPhone 7 screen is packed full of amazing/standout features, as confirmed by the leading world expert. That stands in blatant contradiction to your OPINION that it is outdated. I hope that all makes sense! Please feel free to reply, but if you don't mind: I'd appreciate it if you say at least a single thing about tech, since this is what our forum is about- rather than trying to rather randomly & oddly guess at whether I ascribed an emotional state to a very logical & informative reply post. I agree with what your saying about the iPhone 7. I think the display is much improved over the 6s. And the contrast and brightness is very good.